Perspectum Diagnostics has obtained 510(k) approval from the US Food and Drug Administration (FDA) for its LiverMultiScan imaging device. The company has developed LiverMultiScan to detect early liver disease using magnetic resonance imaging (MRI). In 2014, the company launched LiverMultiscan in Europe and the US as a research device, and was installed at the medical centers in the US, EU and Africa. The imaging device can also be used in clinical research applications for therapies targeting treatment of a range of liver diseases. Currently, the technology is being used to assess primary endpoints in clinical trials for investigational therapies to treat non-alcoholic fatty liver disease (NAFLD) and non-alcoholic steatohepatitis (NASH). 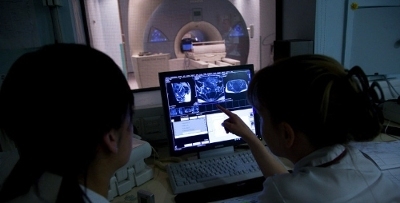 The test provides a quantitative liver assessment in a non-invasive 15-minute MRI scan, while analysis will be based on assessment of native properties of liver tissue, accurate measurement of liver fat and other metrics without the need for additional diagnostic technologies or contrast agents. Perspectum Diagnostics CEO Dr Rajarshi Banerjee said: "This has been a very important year for Perspectum. We have expanded our global footprint with installations of LiverMultiScan in many new treatment and research centers around the world and we continue to make great progress in our strategy for global expansion. "Our successful financing and FDA clearance represent strong validation of our technology, and we continue to be very pleased that leading investors recognize the potential of our business model to improve patient care and play an essential role in clinical research to develop new therapies to treat liver disease." The company will showcase LiverMultiScan at the 2015 American Association for the Study of Liver Disease (AASLD) Liver Meeting in San Francisco, which will be held from 13 to1 7 November. Image: LiverMultiScan will detect early liver disease using magnetic resonance imaging. Photo: courtesy of courtesy of PRNewsFoto / Perspectum Diagnostics.